Unsettling. 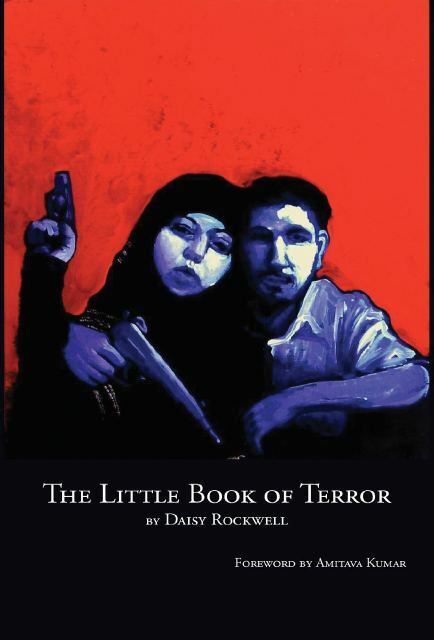 The Little Book of Terror, a slim, brightly-colored book of paintings and short essays by Daisy Rockwell hardly contains standard coffee-table fare. Divided into five sections, this cheeky little volume features your usual gallery of big-name, international rogues. Osama bin Laden. Saddam Hussein. But the feeling of uneasiness comes not from these over-chronicled villain archetypes whose images we’ve all seen scattered over televisions a hundred times over. Journalist and documentary filmmaker Sharmeen Obaid-Chinoy became Pakistan’s first Oscar winner last night when her film Saving Face won best documentary short. Hopefully Obaid-Chinoy’s Oscar win will mean that more people in Pakistan will have the opportunity to see the film. The filmmaker told the Wall Street Journal in November that she planned to show the film in private venues and recently told the Asia Society that “contractual restraints” prevented her from showing it to large audiences. HBO will be broadcasting Saving Face on March 8. Mark your calendars. Designer Naeem Khan showed his Fall 2012 collection at New York Fashion week. Worn by the FLOTUS and on the red carpet, his work is often in the public spotlight. Titled “The Body As A Canvas: From the Mughal Paisley to the Hindu Tilakas” the show brought Indian-inspired bling to the runway. This Valentine’s Day, feel free be prepared to spill your heart with this week’s belated #MusicMonday. Breaking into the scene with his first solo album, Feel Free, 25 year old Sid Muralidhar otherwise known as the NYC beat master Spills has released an album that gives The Weeknd a run for his money. The first half of the album start with a slow drawl with songs like Pregnant Silence and the two stepping Siren featuring Basim Usmani’s falsetto and leads up to the second harder half of the album with deep beats, such as in Mariah Carey’s Satanic Offspring. But you don’t have to take my word for it – the album Feel Free is available … well, for free. So download it for free now! You heard him. Go nuts! When Samhita Mukhopadhyay, executive editor of Feministing, announced she was writing a book on dating, I knew we had to have her on SM. Because as those of us who follow her on Twitter know – Mukhopadhyay is everything dating books are not – i.e. funny and whip smart. (Yes, I may have a wee bit of a girlcrush.) 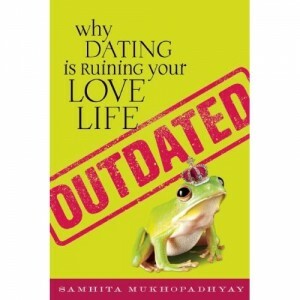 In fall of 2011, Mukhopadhyay released Outdated: Why Dating is Ruining Your Love Life, a humorous take on the self-help genre chockfull of anecdotes from the author’s own love life. Topics covered include: “dating while feminist,” the masculinity “crisis” and more. 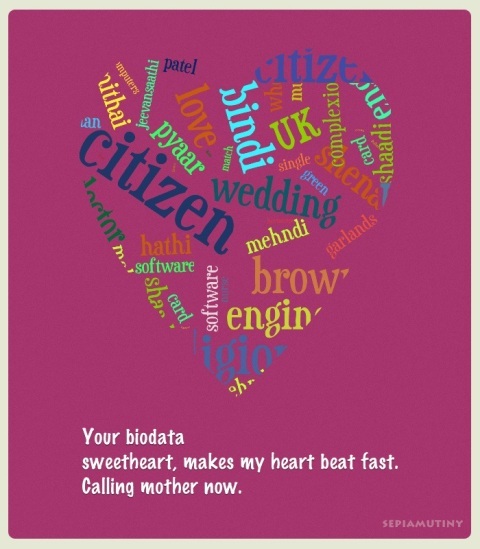 Apropos to Valentine’s Day, I asked the author to tell us more about Outdated. Why did you feel you had to write Outdated: Why Dating Is Ruining Your Love Life? And why this particular title? “All thoughts, all passions, all delights, Whatever stirs this mortal frame, All are but ministers of Love, And feed his sacred flame.” Thus wrote Samuel Taylor Coleridge in his 1799 poem “Love.” And what better time to celebrate love in all its shapes, forms and torments than in the days leading up to St. Valentine’s Day? Find your fanciest pens and papers ladies and gentleman, because it’s time for our second annual Valentine’s Day haiku-writing contest. For you poetry noobs, a haiku is a Japanese verse form that employs sentences in the 5-7-5-syllable pattern. Last year, we received a number of heartfelt entries from our readers. (And quite a few deliciously cheeky ones. Amitava, I’m looking at your “Size does not matter, you say. This small haiku in place of my — uhmmm — love” piece.) Come on, you can do it, mutineers. Give it a shot. Your Valentine will thank you. Deadline: Submit all Valentine’s Day haikus in the comments below by 1PM on Friday, February 10. Please include an email address in your comments so that we can notify the winner. 2012 Theme: Love, ishq, pyar, mohabbatein, kadhal, prema, premam, et. al. Winner: Winner will be announced in the comments on Tuesday, February 14, 2012. Judge: Amitava Kumar – writer, journalist and professor of English at Vassar college. Prize: Winner gets a copy of The 50 Greatest Love Letters of All Time, along with a personalized, handmade Valentine containing their haiku – mailed to the person of their choice (mom, dad, sis, BFF, bf, gf, yourself, etc.) by Valentine’s Day. Did anyone catch the premiere of the new NBC drama Smash? It debuted on Monday after a multi-million dollar promotional campaign and many hope that it will be the hit show NBC desperately needs. The hour-long musical drama is about the creation of a Broadway show based on the life of Marilyn Monroe and is produced by Steven Spielberg. 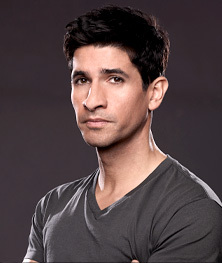 British actor Raza Jaffrey plays Dev Sundaram, the live-in boyfriend of main character/Broadway actress Karen Cartwright (played by former American Idol contestant Katharine McPhee). Jaffrey’s best known for his role as Zafar Younis in the BBC drama Spooks. Devan “Dev” Sundaram was born in Wimbledon in the United Kingdom, but has split his time with relatives in Queens for much of his life and has lived in New York City for several years. With a B.A. in Classics and Political Science from Oxford University and M.A.s in Communications (from Columbia University) and International Relations and Journalism (from NYU), Dev has worked as Deputy Press Secretary in Mayor Mike Bloomberg’s office since 2010. He lives in Lower Manhattan with his girlfriend, Karen Cartwright. Masters degrees plural. Of course. It will be interesting to see how the show portrays New York’s South Asian community and, since the show films in New York, to see if they visit any notable landmarks. I also wonder if there will be any subplots involving the character’s relatives in Queens. I only caught a few minutes of the episode, so I don’t have an opinion on the show yet. The entire pilot episode can be seen here. Children have lurid imaginations. They don’t need much help imagining misfortune. But if you are aware of poverty, or see suffering around you, Charles Dickens can be a boon. This is because he is so good at populating that stricken landscape with indelible characters outfitted with violent habits and unforgettable names. I grew up in a small town in India. The novels of Charles Dickens, in abridged form, were required reading in schools. My uncles on my mother’s side worked in prisons. I could look up from a page of Great Expectations and see the convicts working in the house, sweeping a stone courtyard or feeding the cows. Each man, clad in white khadi with blue stripes, would have an iron manacle around his ankle. I went back to the page I was reading, but now troubled by the thought that soon one of them would be beside me, asking me to fetch a file. In the books that we read, a dramatic pencil illustration would be printed every few pages, with a line from the novel serving as a caption. “Please, Sir, I want some more.” That line was Dickens’s gift to me. At bus-stops, in the homes of less well-off relatives, outside tea-stalls, I looked at the faces of other children as they regarded food that was displayed, or that someone else was eating, and I’d think back to the line I had read in Oliver Twist. I think it’s safe to say that today’s #MusicMonday is brought to you by the letters M, I, and A. She might have had only 18 seconds of screen time as a Madonna backup hook girl out of the 13 minute halftime Superbowl show, but M.I.A. made every one of those seconds count. So, it wasn’t a political statement – she was caught in the moment. She has yet to issue an actual apology. The song itself, as I mentioned before, is pretty lame and a brown middle finger was the highlight of that tune. The full SuperBowl halftime show was, on the other hand, pretty awe inducing. As for M.I.A. and her brown finger. Well, everyone is stumbling to point the blame finger at someone else.